THE highest honour in last year’s Rossendale Business Awards was presented to two very worthy businesswomen. Alison Driver and Melbec Microbiology Ltd were awarded duplicate crystal Valley at Work trophies in the ceremony at The Riverside, Whitworth. Nominations for the ninth R Awards open in August with the ceremony in November. Alison was amazed by how many people recognised her after the awards’ featured in the press and on social media, even while she was shopping in Morrisons. In November, she will become the Regional President of Soroptimist International for the North West and Isle of Man; she is currently Deputy. Alison is on the Board of Trustees of the project Wonderful Things, where she will be working with youth volunteers on CV writing and sponsors activities. Meanwhile, Metis HR now has 75 retained clients and so has opened an office upstairs at The Old Library Café in Waterfoot. Dawn Mellors, owner of Melbec Microbiology Ltd collected the award for her cutting-edge business. The company, which was founded in 2013 in Haslingden, provides microbiological testing services using highly skilled professionals. This year businesses, individuals and community groups will contest 19 different awards. Once nominated, the nominee selects which categories to enter. The awards are organised by Valley at Work, which connects local businesses. 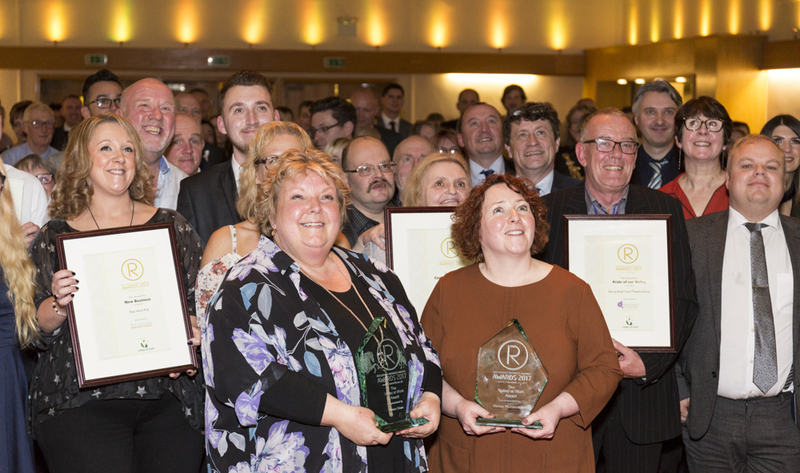 Nominations for the R Awards will be open from August 15 to September 19 and the ceremony will be on November 14 at The Riverside in Whitworth. Story by Catherine Smyth. Picture by Liz Henson Photography.